Looking for alcove storage solutions? 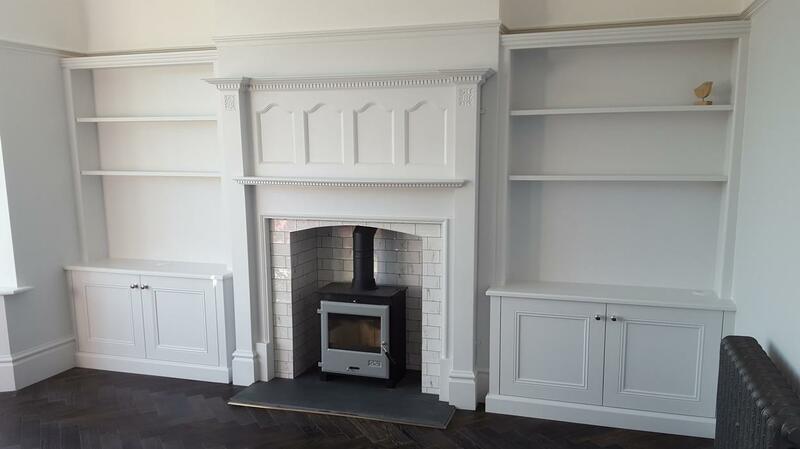 We are Sheffield's experts in made to measure alcove furniture. Custom designed. Hand painted. Prepared in our workshop and installed in one day. Outstanding reputation. Solutions to complement your period property, with classic detailing. We love to hear our clients say 'It looks like it's always been there!'. Hand-painted in an eggshell finish, in white or any colour of you choice. Priced using our standard alcoves pricelist. 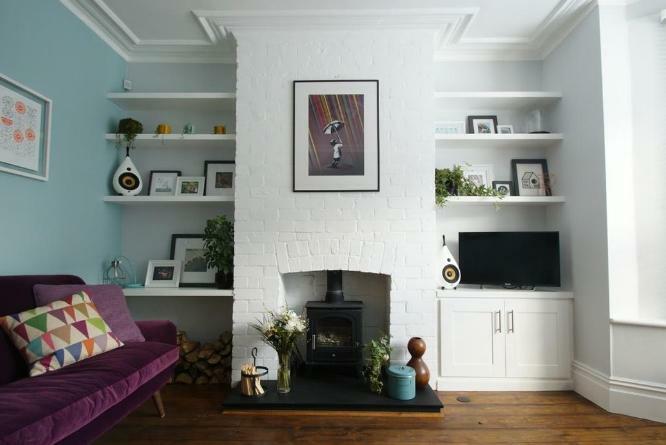 Shaker style doors or flush touch-to open doors; chunky floating shelves. Hand-painted in a hardwearing eggshell finish, in a colour of you choice. Priced using our standard alcoves pricelist. 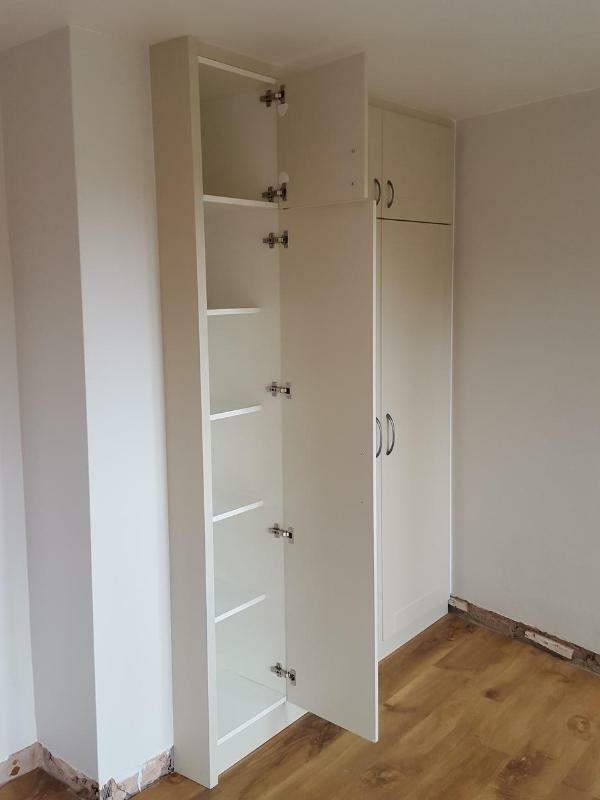 Enclosed storage to make the most of an alcove or other awkward space, with tall doors to any size in a range of styles and colours, and bespoke shelving arrangements in melamine board. For these projects we usually use factory-made vinyl wrapped doors.